Clarence Judson was swimming near Ocean Beach when he suddenly was pulled by a strong current into the sea. He made it back to the shacking shores. George Davidson, professor for Geography, woke up from the tumult coming from the streets. He grabbed his watch on the desk and noted the length of a first quake – 60 seconds – followed by a second – again 20 to 40 seconds long. His observations – 5:12am in the morning – will later be used to determinate the official time of the great earthquake of San Francisco. Many people were still asleep and killed in their beds, those who escaped gathered in the streets. Despite the earthquake, most of the city seemed still intact and surprisingly quiet. In 1906 San Francisco was already considered a great, but also corrupt, city with more than 400.000 inhabitants. Thanks to the discovery of gold in the rivers of California the city was quickly expanding into its surroundings. It was an important gateway to the Pacific and a modern trade place. The newest technology in film equipment was available in the shops. The earthquake of San Francisco will become the first natural disaster of this magnitude to be so well documented by photographs and film footage (even in color). However, most buildings in San Francisco were poorly constructed and made of wood. 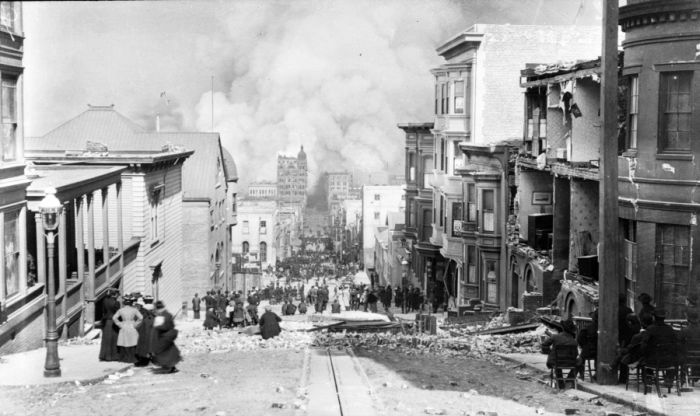 San Francisco had burned to the ground six times in the past century and experienced strong earthquakes in 1865 and 1868, when 30 people were killed. Police sergeant Jesse Cook was the first person to report a fire in a grocery in Clay Street. An hour later there were already fifty fires spotted in the entire city. The firefighters realized horrified that the water pipes in the underground were broken and the hydrants useless. The resulting firestorm will burn three days and will destroy 90 percent of the 28.000 buildings in San Francisco. Journalist Arnold Genthe will take one of the most famous photos in history. “Looking Down Sacramento Street, San Francisco, April 18. 1906“, photography by Arnold Genthe. In Jackson Street, the owner of the “Hotaling´s Whiskey” distillery decides to fight the flames. He pays 80 men to sprinkle 5.000 barrels of whiskey with water pumped out from the sewer system. Later he will mock all those who claim that the earthquake was sent by god by coining a new advertising slogan for his company. Army troops were soon ordered into the city to help the firefighters and prevent panic and looting. Despite the fact that martial law was never proclaimed, the major authorized policeman and soldiers to shoot looting persons – “Obey orders or get shot” was the grim warning on the signboards. The earthquake and the firestorms killed an estimated 3.000 to 4.000 people, destroyed 28.000 buildings and the infrastructure of the entire city. However, thanks to a quick rebuilt, just three years later most of San Francisco looked as if the earthquake never happened. Seismology was still a young scientific discipline at the time of the earthquake in San Francisco. Worldwide there were only 96 seismographs operating, none of these in California. In the aftermath of the disaster, only three days later, the Governor of California announced the formation of the State Earthquake Investigation Commission, led by geologist Andrew C. Lawson of the University of California. The commission focused on the San Andreas Rift, a nearby valley until then considered of minor interest and mapped geologically only in short sections. For two years Lawson and his team followed the rift, mapping ponds, streams and hills on foot and horseback. They recognized that the rift follows almost the entire coastline of California for more than 1.000 kilometers. During the April 18, earthquake, almost 480 kilometers of this large fault suddenly ruptured, displacing large sections horizontally, not vertically, as geologists had previously believed to be the source of earthquakes. The commission discovered that earthquakes can be generated also along so-called strike-slip faults. The epicenter of the earthquake was at first located at the point with the largest observed displacement on land. However, today the epicenter is believed to be situated in the Pacific Ocean, in accordance with the seismic waves coming from the sea as observed by the first eyewitnesses. 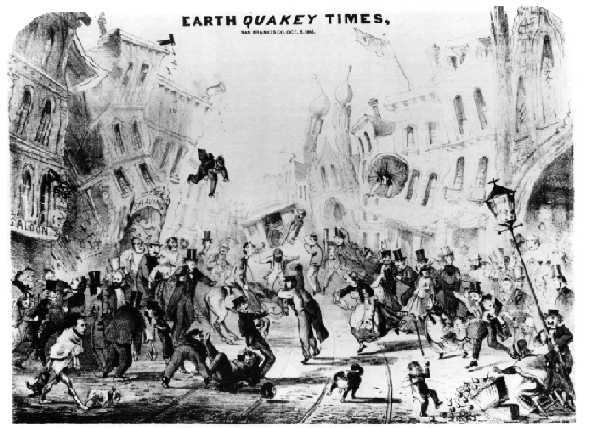 The results of the scientific investigation of the San Francisco earthquake led Henry Fielding Reid, a geology professor at Johns Hopkins University in Maryland, to propose a new theory regarding the origin of earthquakes, later dubbed the “theory of elastic rebound“. Reid’s hypothesis will have a revolutionary impact on the young science of seismology. The tragedy of the “unsinkable” Titanic – lost in the cold water of the Atlantic – became part of history and pop culture, but the story of the main culprit that caused the disaster is mostly forgotten and only vague descriptions and some photos exists of the supposed iceberg(s). One famous photography taken from board of the cable ship “Minia“, one of the first ships to reach the area in search for debris and bodies, shows a tabular iceberg, an unusual shape for icebergs in the northern Atlantic. The crew found debris and bodies floating in the vicinity and the captain assured that this was the only iceberg near the point of the collision. 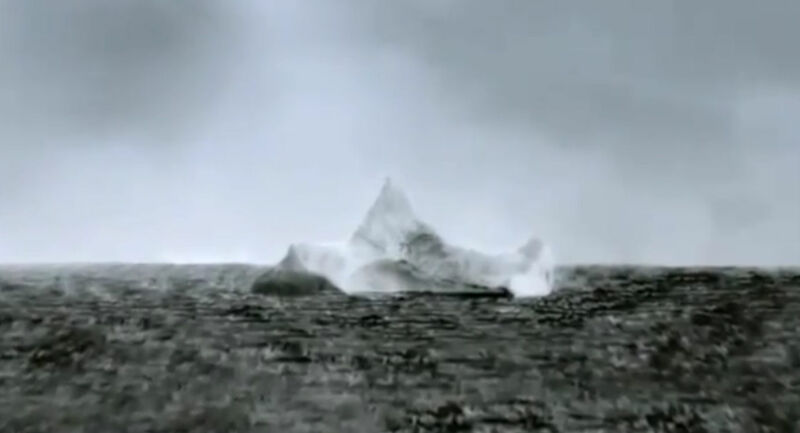 However most surviving Titanic testimonies described later the infamous iceberg with a prominent peak or even two. Fig.1. 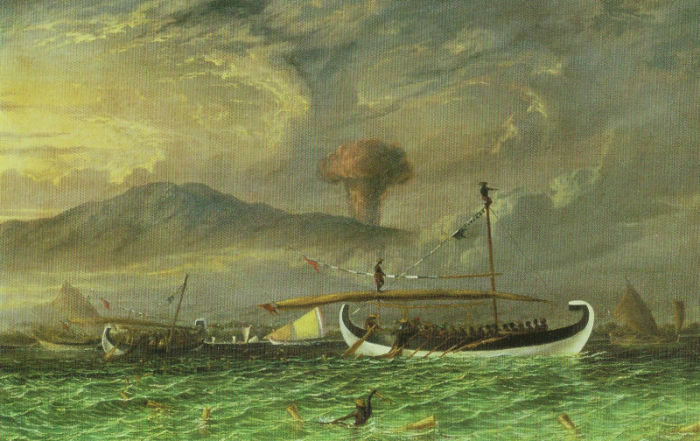 The moment of the collision according to the sailor Frederick Fleet - one of the two men on duty as lookout in the night of the disaster (after EATON & HAAS 1986). Fig.2. Journalist Colin Campbell, a passenger of the "Carpathia" - the first ship to approach the scene of the disaster the next morning and save the surviving passengers of the Titanic - described the iceberg for the "New York Tribune" (after EATON & HAAS 1986). Fig.3. 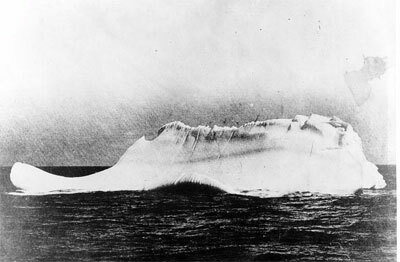 One of the many icebergs photographed in the morning of April 15, 1912. The passengers on the ship “Prinz Adalbert”, still unaware of the disaster of the previous night, reported later to have noted a “red smear” at the waterline of the white iceberg. Fig.4. Photography of an iceberg from the cable ship "Minia", one of the first ships to reach the area in search for debris and bodies. 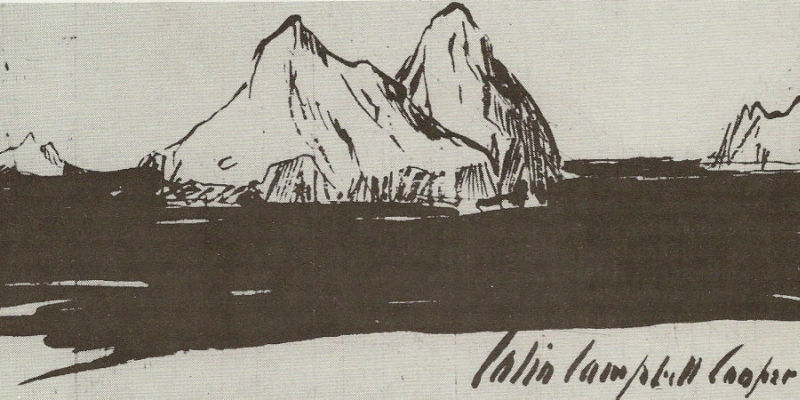 The crew found debris and bodies floating in the vicinity of the depicted iceberg and the captain assured that this was the only iceberg near the scene of the collision (after Titanic & Nautical Resource Center). Fig.5. Another iceberg, photographed five days later from board of the German ship “Bremen”, claimed to be the Titanic iceberg based on the vicinity to the location of the disaster and the description of the iceberg according to survivors. An "authentic" photography of the iceberg that sank theTitanic was worth a lot of money for the eager press, this also explain why so many photographs of icebergs were taken at the time. Fig.6. 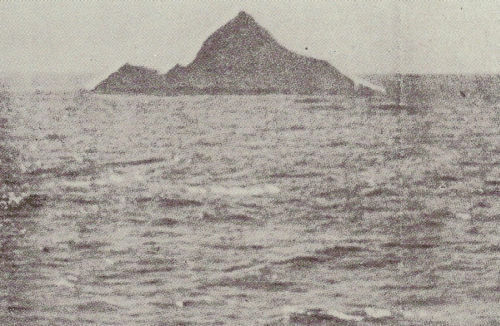 Photography taken from board of the ship “Birma” of the same iceberg as seen by the passengers of the “Carpathia” (see also Fig.2.) – the first ship to approach the scene of the disaster and save the surviving passengers of the Titanic – and published at the time in the “Daily Sketch”. This iceberg has in fact some remarkable similarities to the iceberg as described by survivors of the disaster. Despite the question if one of the photos shows really the culprit iceberg, the remarkably number of spotted icebergs emphasizes the notion that in 1912 a quite impressive number of these white titans reached such southern latitudes. The icebergs encountered in the North Atlantic originate mainly from the western coasts of Greenland, where ice streams deliver large quantities of ice in the fjords which lead to the Baffin Bay. Every year ten-thousand of small and large pieces of ice drop from the front of the glaciers and are pushed by the West Greenland Current slowly to northern latitudes, far away from ship routes. 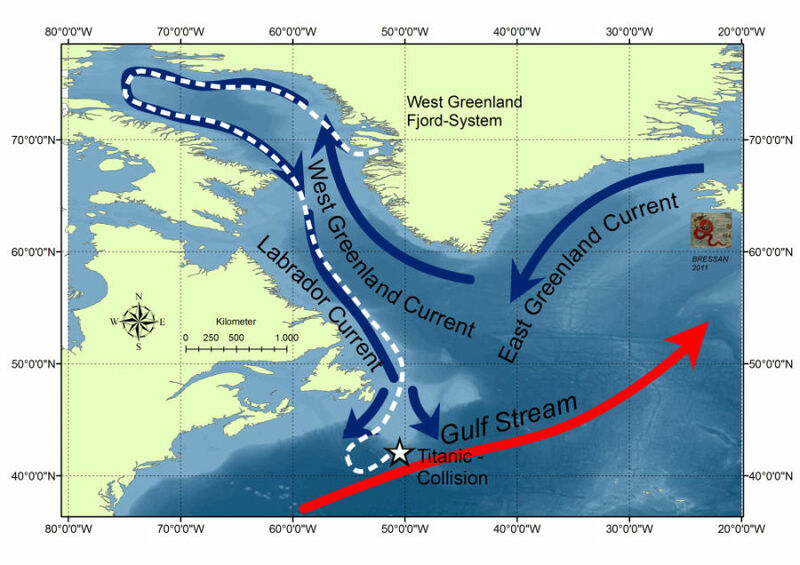 Following first the coast of Greenland this current is diverted by the Canadian coast to the south, forming the Labrador Current that circumnavigates Newfoundland and delivers the iceberg to the warm Gulf Stream. A more than 5.000km long journey full of obstacles and incessant erosion by the sun, the water and the waves. Only estimated 1 to 2% of large icebergs will, after a period of 1-3 years, reach latitude 45°N, crossing one of the most important route for ships of the entire Atlantic Ocean. Fig.7. Schematic map of marine currents (blue= cold; red = hot) around Greenland, probable region of origin (West Greenland) and hypothetical route of the iceberg that hit the Titanic. Apparently in 1912 icebergs were spotted remarkably often in this region and various hypotheses tried to explain this “anomaly”. The years before 1912 were characterized by mild winters in Europe and possibly the northern Atlantic. It was therefore speculated that the (relative) warm temperatures increased the melting rate and activity of the calving glaciers on Greenland. Also a strengthened Labrador Current, pushing cold water and icebergs much more to the south, was proposed to explain the ice field that in the cold night 100 years ago forced various ships to stop along the Atlantic route. Both hypotheses are based on the recorded values of Sea Surface Temperature (see this diagram by the Woods Hole Oceanographic Institution), which show an alternation of a warm and cold period in 1900-1920. A recent hypothesis – promoted by NG – proposes that an exceptional high tide prevented much of the larger icebergs to run, as normally would happen, on ground along the coasts of Baffin Bay. However considering that this tide occurred just some months before (January 1912) and the average velocity of an iceberg is low (0,7km/h~0,6mph), the Titanic iceberg had to take a straight course to arrive in time for his rendezvous with history – April 14, 1912. 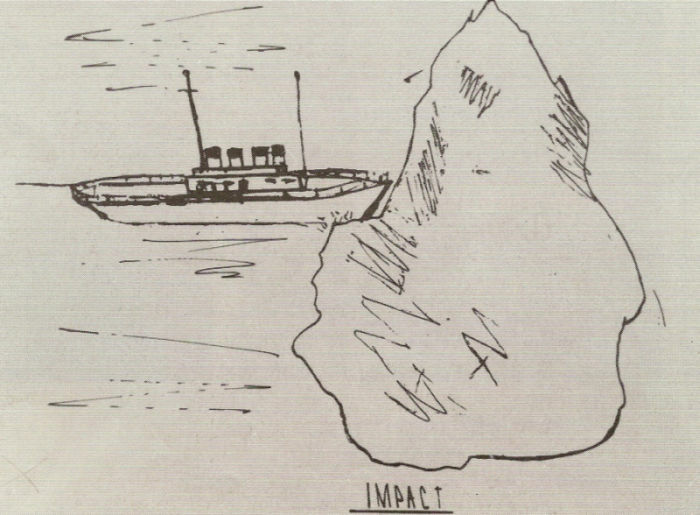 Based on iceberg counts along the shores of Labrador and later in the Atlantic, also the year 1912 don’t seem to be necessarily such an anomalous event, but the disaster raised considerably the interest (and maybe perception) of the public for icebergs. Fig.8. Iceberg counts (estimated before 1912) at 48°N, data compiled from the International Ice Patrol Iceberg Database. In the days after the disaster bypassing ships encountered and photographed various icebergs. Some eyewitnesses claim to have noted red paint on some of them; however there is no conclusive evidence that one of these spotted white giants is really the iceberg that sank the Titanic. At least some weeks later the culprit iceberg, captured by the warm water of the Gulf Stream, melted and disappeared forever into the Atlantic Ocean. In the year 1725 the professor of medicine and personal physician of the bishop of the German town of Würzburg, Dr. Johann Bartholomäus Adam Beringer (1667-1738), was approached by three chaps, who offered him the possibility to purchase some strange stones they had found in the fields. Beringer recognized the unique value of the discovery and paid a rich reward for these and further specimens. After a short time he possessed the greatest collection of stones displaying on the surface various bugs, molluscs, plants, birds, mammals, stars, suns and even Hebraic letters. One year later, in 1726, Beringer published a monographic work with 14 sections and 21 plates depicting 204 specimens of his collection: the “Lithographia Wirceburgensis”, assuring the veracity of the stones as a divine miracle. But then the scandal was revealed – the chaps admitted that the stones were artificially carved, incited by two peers of Beringer, the mathematician Jean Ignace Roderique (1697-1756) and the theologian Johann Georg von Eckhardt (1664-1730). The two scholars admitted that the fraud was their revenge for the presumptuous behaviour of Beringer and intended to expose his credulity and incompetence. The public was not amused by the childish behaviour of all the involved persons: The reputation of all the three scholars was ruined, Roderique and Eckhardt were forced to leave the city and Beringer tried to minimize the damage by destroying almost all of the printed copies and the printing plates of his book. He never recovered from the humiliation and died embittered years later. Almost every student of earth sciences knows this or a similar version of the myth, often told in textbooks as warning of blind faith and argument from authority. The beautiful carved stones of limestone are today remembered as “Würzburger Lügensteine” – the infamous “lying stones of Würzburg“. Today 434 lying stones survive, 494 are depicted in the Lithographia Wirceburgensis and Beringer himself claims that he possessed more than 2.000. 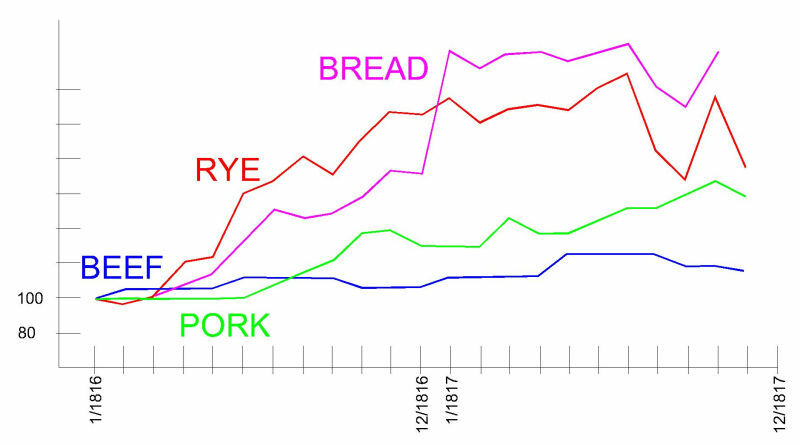 However considering the short period in which the “discoveries” took place (less than one year) it seems more reasonable to assume that this number is deliberately exaggerated. Estimated 600 to 1.100 true lying stones seem a more plausible number. Beringer affirms that he received or discovered the first stones in May of the year 1725. Between June and November he hired the two brothers Hehn, the chap Zänger and later a fourth person, which name is not recorded, to collect further stones on the presumed site of the first discovery. Beringer began almost immediately to describe the various stones and ordered the printing plates for his book; he also published a preview of his work in October of 1725. Already then first doubts were cast on the veracity of the stones, but Beringer presented various witnesses that could testify that indeed the stones were found during the excavations on a hill near Würzburg. Johann Georg von Eckhardt, and later Jean Ignace Roderique, were send to investigate the site but couldn’t find any stone there. However they also couldn’t provide evidence to dismiss Beringer´s claims. It is important to note that Beringer never affirmed that the stones were true petrifactions (as the petrified remains of organisms killed by the biblical flood) and he even states that the stones differ from the true petrifactions found in the hills near Würzburg. He discusses in great detail the various explanations proposed for the origin of petrifactions in the first chapters of “his” Lithographia (as a matter of fact the book is published as doctoral thesis under the name of one of Beringer´s students – Georg Ludwig Hueber – but his contribution is limited to an introduction of nine pages) and examines the various hypotheses, but dismiss all in favour of a literally “miracle”. God himself created these stones and the recognizable carving spurs (!) on the stones are only a trace of the power of god creating these figures. 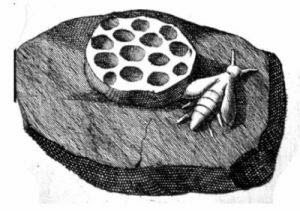 In spring of 1726 Beringer received some rocks from the fourth chap, this time in fact fabricated by Roderique to reveal the artificial nature of the stones. The fraud is revealed, even in the presence of the bishop (the Lithographia is dedicated to him), but Beringer simply modifies some chapters of the Lithographia, still in press, claiming that it is now only proven that the last stones are fakes and the first generation is still evidence for (literally) god’s hand carving the rocks. Beringer is apparently so self-confident in his position that he initiates a process against the claims of fraud regarding his persona. In the process, that will last until after the publication of the Lithographia, the incriminated chaps will only admit to have sold the stones to Beringer, but not to have carved the figures. Considering the depictions of exotic animals and even Hebraic letters on the lying stones it is in fact difficult to image that people from a rural area with no naturalistic background would be able to execute such an elaborate hoax. There is no doubt that the scholar Roderique manufactured some of the stones, however he arrived to Würzburg only in the winter 1725-1726, so he can not be responsible for the first generations of stones described by Beringer already in October of 1725. Roderique left Würzburg voluntarily in 1730, the revealed “scandal” had no influence on his career and he died as respected scholar and publisher years later. There is no evidence that Eckhart played a major role in the entire story, apart the first investigation of the supposed excavation site. Both Roderique and Eckhart had no need for revenge versus Beringer and were relatively unsuccessful in the attempt to discredit the lying stones, as they – or others, could never demonstrate that that the first stones were fakes. But who then faked the first lying stones? Beringer didn’t suffer too much from the supposed scandal, not only didn’t he even try to prevent the publication of the Lithographia after the first claims of fraud (there was still plenty of time left), but he retained his position and reputation. In 1767 even a second edition of the Lithographia was published with the original plates (not even touched by Beringer) of the first edition. His hypothesis of divine intervention on the rocks was never ridiculed in a time when fossils were anyway considered the vestiges of a biblical flood. However it is true that after the newspapers revealed that it was possible to fake the stones (like done by Roderique) the lying stones could no longer be used to support uncritically the "divine crafted" hypothesis.